The dictionary says that a transition is “the process or a period of changing from one state or condition to another” and it says that preparation is “the action or process of making ready or being made ready for use or consideration.” When I think of the last few months these definitions speak in detail as to what I have been going through. It is true that getting ready for anything in life takes preparation if your goal is the successful attainment of something and when it is difficult it sometimes takes a fundamental transition of one’s self and habits. I have been focusing on my next travel plan and it is neither an important trip by any means nor is it something that is remarkable to anyone but me. It is simply a walk in the Himalayas to a place where in a time of heroes, giants walked (Major Mount Everest Summits-Wikipedia). I will be cold for sure because of the time of year that I selected for the journey. So being an abode of the snow; the weather forecast states that the daily temperature should be 3-6 Degrees Fahrenheit (-16 to -14 Celsius) daily on this trek, I am sure that it will be below that when adding a few thousand feet and taking away the sun! But that is OK. I have a very firm personal belief that a life that is not challenged is not lived. 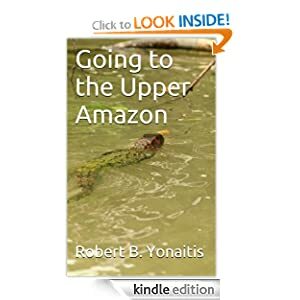 So it is a simple thing that I will do and a personal challenge that matters only to me, I will spend thirteen days at high altitudes and will do a ton of hiking. It is a time to be alone with my thoughts and my world. In normal life we are surrounded with so much noise that it is hard to think. We stress the small things and live with our first world problems that are nonsensical. So for these days on the trek I will walk, labor, and be in the moment from one second to the next searching for the perfect moment in time while not focusing on anything. The past will be there and the future will be there and the present will be a subconscious mechanical effort requiring no thought or better put it will be absent from thought. It takes something like this Everest Base Camp (EBC) trek to allow me to hear my own thoughts again. It is simply a statement that I needed transition to get to this point. I became a runner and transitioned from a place in time where I was out of balance – where my mind was strong but I let my body get lazy. In this transition I have lived the quantified life and now I am a runner that watches everything that I put into my body and how much energy I get from the same. Now I have both a stronger mind and body. Preparations were also required. Cold weather gear to “Gu” all acquired. Batteries and Solar Panels. Blood pressure perfect, Blood Oxygen Perfect, everything is good to go! There really is not much more to say – in the grand scheme of things this is a meaningless trip but to me the mountains are a temple where I go to seek spirituality and meaning. I look forward to this journey and to the absence of light, air and noise pollution. I look forward to the challenge; whether I fail or succeed is not important the only thing that matters to me is that I walk the path. Hopefully I get some good pictures as well! So time to finish packing! I am sitting looking at a star map and wondering what I will see from the top of the mountain. Once we break the tree cover and giving the thinner atmosphere and lack of light pollution it should be pretty amazing. After the star maps in the journal I was sent for the hike there is of course a Swahili phrase chart and a bird checklist. I have so much to do now and so little time; believe it or not I do not have all of the gear that I need. In fact I am not all that close to having everything; I need some summer and rain gear. I have yet to test my contour camera nor do I have all the tech I need. Amazing! However, I tend to put things off till the last minute. Like the workout I was supposed to start ten minutes ago has conveniently been put off so I could do this blog post. I think I will bring my binoculars but I am beginning to get conscious of the weight I will be carrying in my pack. While there is a porter for the 30lb bag there are certain things that I want in my day pack. I bet I am the only one that goes through this, I would hazard a guess that everyone else going is 100% prepared by now. I did receive an email from the Safari group doing the Kilimanjaro Trek and they told me that I needed to stop all of the hard exercise and concentrate on stretching and light aerobic exercise from next Tuesday on – I wonder if they understand that exercise is addictive and it will be hard to just quit. I should note I would hate a stupid exercise related injury before doing the trip and I will not miss the two hour on two hour off workouts. Tuesday I will finish with a full five hour, full pack workout, and from then I suppose I will relax till we ascend the mountain. The night sky is something I look forward to as well. I just checked out this photo: http://doriantsaiphotography.smugmug.com/Adventure/Kilimanjaro/18321130_BhTD8X/1409710282_5Nv85R9#!i=1409710282&k=5Nv85R9 not bad, not bad at all. I hope to capture some great photos. We shall see how my skill is and if my 7D is up to the task. There is a great chart on the web of the evening sky for July on the Royal astronomical Society of New Zealand’s Web Site (http://www.rasnz.org.nz/Stars/EveningSky/Jul12Sky.html ), I will need to print this out and take it with me. I have hiked up and down many mountains but I have never done this much preparation. I hate preparing for stuff like this, I always feel it is some sort of Jinx, I am more of a just do it person. Well, having said that I suppose I should knock on wood. Wait, I am not at all superstitious and this delay is over, time to format and post this so I can work out. A star map of the south polar projection found for the celestial globe of Su Song (1020-1101), a Chinese scientist and mechanical engineer of the Song Dynasty (960-1279). This diagram of a star chart was first published in the year 1092 in Su’s book known as the Xin Yi Xiang Fa Yao (Wade-Giles: Hsin I Hsiang Fa Yao). When I first approached the publishing of this journal I also looked into feasibility and/or demand for translated editions. Six months after the release of the the travel book it appears that demand is still very strong and considering that I have decided to release a Spanish Edition. With the rough translation done the Spanish Edition will be available for free on Amazon tomorrow, June 13th, 2012. I think a public review is always a good way to go with translations. Yendo a la Antártida es la historia de un experimentado viajero preparando y realizando el viaje de su vida. Contada desde la perspectiva de un aventurero mundial, Yendo a la Antártida ofrece una deliciosa mezcla, por un aparte, consejos prácticos para el viaje, sugerencias y advertencias; y por otra, por supuesto, anécdotas, coloridas descripciones e historias que hacen del viaje algo memorable. La excursión sigue la ruta del barco a través del Paso de Drake. Luego el equipo desembarca y se encuentra con la flora y fauna del desierto más austral del mundo. Los exploradores tienen algunas experiencias asombrosas a lo largo del camino, incluyendo la acampada en la Antártida. Esta es una historia de lectura obligada para cualquiera que esté pensando en hacer un viaje al desierto de cristal, para los amantes de la vida silvestre, y para cualquier persona fascinada con esta extraña y helada tierra. 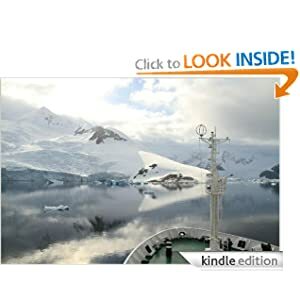 Hello All – There was some confusion last week about the day of this quarters first promotional free copy of “Going to Antarctica”. So to clear it up, on Amazon, tomorrow will be a free day to download the book. So if you are wondering about Antarctica or planning for next year this may give you a good idea on what to expect. Here is the link to the book. I am going for a record download day, I need 503 downloads for the record. So please do share this link! I have been concerned that I was not working out enough when on this trip to southern and Eastern Europe. Well Spain was a great deal of walking and Lithuania was both more walking and lots of hill hiking. Today is my last day in Vilnius and it was a great day for exercise. I had just one thing to do today and when done I went on a two hour walk around town. You know you have walked when you are happy to take a seat if even for a few minutes. After my two-hour walk I went for another two-hour walk up to the Museum of Genocide and it was closed today, but it was a good walk. By three o’clock I was back in the room for a second and then back out to do a hike up the hill of crosses. In the end I walked and hiked for six to seven hours – not bad for a Tuesday in Vilnius. The highlight of the day was that I duplicated what you would get in a Vilnius city tour but I added a bit more. I did two new things on this trip. First, I went to the National Museum of Lithuania. This was a great spot and I wonder why I missed it in the past but I am glad I went this trip. Second, I hiked up the hill of crosses. These crosses are the subject of some of my past artwork and it was great to see them up close: Here is a link to some photos: http://yonaitis.shutterfly.com/14448 . I also was able to get some great shots from my morning walk: http://yonaitis.shutterfly.com/14391 . Perhaps the biggest surprise this week was the Trakai Island Castle. This was a tour and it was a good one. A very pleasant tour guide made the difference. What a nice day in general, perfect weather for a long walk in and around the castle. There was some great beauty to see – as there often is around a lake. I took some photos that I hope can communicate the beauty of the Island Castle: http://yonaitis.shutterfly.com/14277 . If you have never been to Lithuania you should consider going. As for me I have to be up in nine hours to hop in a taksi and head to the airport. I will be in Madrid tomorrow afternoon and then I have to cut my trip short and head back to the states on Thursday. I have started keeping a daily blog to recount my preparations as prepare for my hike up Kilimanjaro in July. In researching for this blog I found a site that showed the daily journals of hikers on their approach to the summit and as they made it to the top. 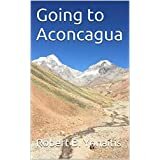 Later in the evening, as I read further I noticed that one post did not recount tales as trekkers arrived at this camp or the next one, nor did it say that someone just summited, however it did say that two trekkers fell ill due to the low oxygen conditions and they had to be taken down the mountain. Their attempt to summit Kilimanjaro ended far too soon. I have to admit I was sad and their story stayed in my thoughts. As my head touched the pillow and my eyes slowly started to close the blog post about the two trekkers was still on my mind. This morning during my first workout it hit me and I thought to myself how sad I was for them. It made me reflect a bit on my life, where I had come from and what I valued in life. Was I afraid? We are taught in life that there are two basic answers to the question of a personal challenge, fight or flight. This is perhaps the worst lesson that we can learn as it promotes fear to a level it should not achieve. Some of the greatest stories of the ages are of people who accomplished one of two things in a situation where they had fear; they faced it and overcame or they faced it and failed. Many times you will find both. Even the most basic of scientific discoveries are a long list of failures leading through to some truth and of course the discovery. Today, I thought for a while about what if I get sick, what if I get sick at 17000 feet, and what then? That is when my day turned around. I could answer this from experience. You see, I have the fortune or misfortune of remembering my failures in life and the resulting outcomes. I failed a lot in life! It is absolutely amazing how much I have failed, but that is not my story. My story in this blog post is about what happens after the failure. It takes me back about twenty-seven years and to one of the scariest moments of my life. As a young man I had lost my job, could not pay my rent, sold my belongings to buy food and was counting down on the days until I was homeless. I was terrified – literally frozen by my fear. You see unemployment had run out, I think it was 16 weeks back then but regardless it was insignificant. I was wallowing in self-pity awaiting the end of my world. I wanted to see no one and of course talk to no one. That is when the phone on my wall rang; yes we had land lines back then. It was a friend of mine he wanted to come down and have some beers and I said that I did not feel like it I was broke and miserable. He said “look I will come down with the beers” and after a ton of prodding and insisting I agreed. He had to walk a few minutes to the Quincy T station and catch a bus down to Hough’s Neck. It was a warm summer’s night and he was full of energy and very excited. We walked down to the sea wall and looked across the harbor to Boston. We both cracked a beer and started talking. After about five minutes he pulled a bottle out of the bag, it could have been JD or it could have been champagne, I do not remember but I will never forget what he said; “Bob, let’s celebrate”, I responded “Celebrate?” , he replied “Yes Celebrate.” I was thinking he must be crazy, he took a swig and said “to your next job-you always land on your feet doing so much better than you did in the past” and then he passed the bottle. I took the bottle and looked across the harbor to Boston and said, “Thanks and one day I will be in charge of systems at that building in Boston . “ He was right I would get up on my feet again, I would get a better job and I would fail again and get up again. On that day I had a clarity that was never forgotten. I would fail, over and over and I should never fear it but I should look at it as an opportunity. My thoughts then turned to my own climbing and that has been mixed with failures and successes. It is also true that some of the most epic failures have led to the most epic successes. I thought to myself that from the moment those trekkers stepped on the trail at Kilimanjaro they had succeeded! They did not need my pity and they blazed a trail for me. I finished my workout, hit a sauna and felt honored to be amongst a group of people that challenged their fears. It is important to understand that success is often preceded by failures and the failures are often as epic as the success. So good luck in your next failure – may it lead to amazing successes. When I was a smoker it occurred to me that quitting smoking was the most perfect New Year’s resolution to make and and I made it every year. I think we can be naive about how hard it is to start or change habits. So every time I tried to quit I failed. After many attempts I remembered advice from a family member that was simple; “Cold Turkey is the only way that works”, alas that was always followed by the advice; “no you need meds, nicotine gum and of course counseling.” One day, no resolution required, no grand announcements required and at no particular time I simply quit. So, as I look at 2012 I think it is important to define what New Year’s Resolutions are to me. I have adopted the method of making a list for everything. I am unsure if it comes from being a trained engineer or if it is something I received from a friend at some point but it is what I practice. Additionally – a big focus of mine is making things part of me. What does this mean you may ask? Simply put, we are surrounded with information; we can know so much without really understanding anything. I always think of a travel commercial that stated; “You wouldn’t search Bing for Pictures and have them printed and put them in a scrap book. – Would you?” This speaks to the simple truth that you can read and learn about something, but it is never part of you until you truly understand it by actually experiencing it. Just think of reading about a job or a book or a game; you may truly learn the rules, requirements and have knowledge of it but until you actually go and participate you will never know if it is for you nor will you understand its true nature. I would like to understand North America beyond reading and pictures and having said this it is my goal to try to go to as many major cities and minor ones by train, plane or car as possible. I will also try to reach out on-line via different avenues to further understanding. I would like to go to Mexico City and get a feel for the capitol and travel to other Cities in Mexico. The explorer in me is demanding new adventure and as I approach my departure for Antarctica, I am thinking that it is time to get to know my inner fish better and take up scuba. By thinking of – I mean it is time to do it! As you may know it is true that man has explored more of the surface of the moon than it has the ocean. I have been blessed with good health and strength since I died, however, nothing is guaranteed. As we age it is harder – not easier to keep our health. Understanding this I will work to keep and exceed my current health and strength: 50% more weights, run at least 3 days a week in the new tear, at least 20 miles a week on my treadmill. I will eliminate all toxic items that I can from my diet – not that I have tons to eliminate. I will paint more, as I come closer to developing my own style and this is important, I will try to paint and sketch a few days a week, giving; at least 1 painting or sketch a month. In all other areas I will endeavor to improve myself; spiritually, physically, and in general knowledge of all things. I will source all my products food, electronics, and general to assure that I do not support, via my purchase, slavery or exploitation anywhere in the world. This may seem like much but they are actually minimal goals and I generally exceed my minimal goals. The trick for me is writing it down because then I have a measure. I have left out material things as I have made the mistake of doing something once in my life for material gain only. In doing this I learned, success aside, if your goal is simply monetary gain you will receive just this. I have found that if you love what you are doing all kinds of successes will follow so I never focus on things like money. This list does not include professional goals as I always hold them separate from personal goals Life is much fuller if you keep these things separate. I hope that all my friends and family have a very Merry Christmas and a Happy New Year!